Today, Take-Two Interactive Software announced its financial results for the second quarter of fiscal year 2018, related to the period between July 1st and September 30th, 2017. Below you can read the relevant revenue and profit figures. CEO Strauss Zelnick accompanied the press release with a comment. 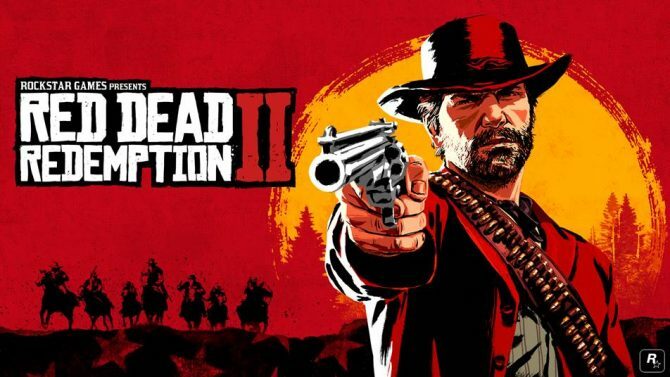 Interestingly, the company expects fiscal year 2019 to be a record year thanks to Red Dead Redemption 2. Before you start thinking of a delay, fiscal year 2019 for Take-Two is between April 1st, 2018, and March 31st, 2019. ?As a result of our outperformance in the second quarter and increased forecast for the remainder of the fiscal year, we are raising our fiscal 2018 outlook for Net Bookings and net cash provided by operating activities. We now expect fiscal 2018 to be another year of Net Bookings growth, as well as strong cash flow. Looking ahead, we expect fiscal 2019 to be a record year for Net Bookings and net cash provided by operating activities led by the upcoming launches of Rockstar Games? Red Dead Redemption 2 and a highly anticipated new title from one of 2K?s biggest franchises. We have a robust development pipeline and are better positioned than ever for long-term growth and margin expansion.? 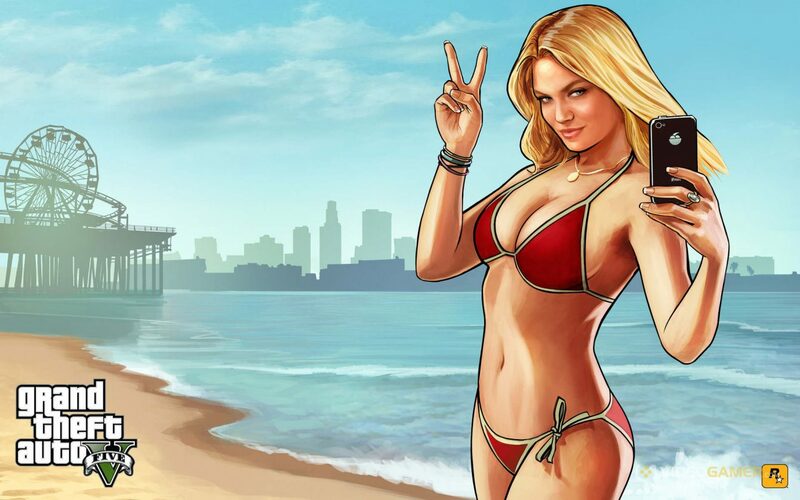 Take-Two also shared a bullet list of the achievements and main metrics of its subsidiaries, Rockstar and 2K games. In particular, we learn that Gran Theft Auto V has passed 85 million shipments, and is now the best selling video game of all time according to the NPD. NBA 2K18, on the other hand, shipped over 6 million units. Grand Theft Auto V has now sold in more than 85 million units. According to The NPD Group, Grand Theft Auto V is now the all-time best-selling video game, both in revenues and units, based on combined U.S. digital and physical sales across PC, console and portable. Motor Wars, a vehicle-based battle for survival in an ever-shrinking combat area. 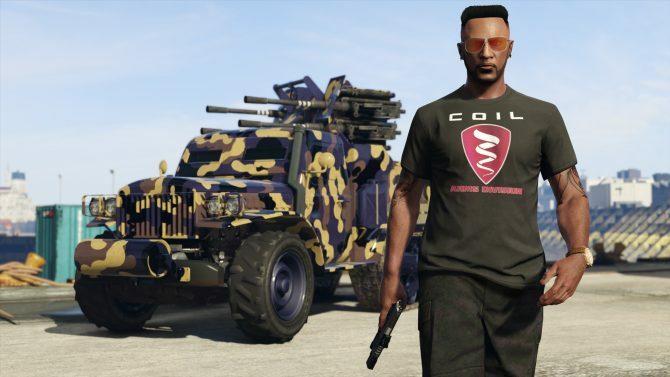 The Bombushka military bomber and Bombushka Run Adversary Mode. Special Halloween content including the Vigilante weaponized vehicle, the Seabreeze aircraft and Condemned, a nightmarish version of tag where the only way to escape certain death is to take down another player. Announced that new versions of the blockbuster detective thriller, L.A. Noire, are scheduled to release on November 14, 2017 for Nintendo Switch?, PlayStation®4 and Xbox One. These new versions include the original L.A. Noire game plus all of its additional downloadable content, with specific enhancements tailored to the unique capabilities of each platform. Following these in December, 2017, comes LA Noire: The VR Case Files, featuring seven select cases from the original game rebuilt specifically for a virtual reality experience on the HTC VIVE? system. Launched WWE 2K18 for PlayStation 4, Xbox One and PC. Developed collaboratively by Yuke’sand Visual Concepts, WWE 2K18 features Seth Rollins as its cover Superstar, along with the largest playable roster in franchise history, the new online-centric Road to Glory mode, notable gameplay improvements, and a powerful new graphics engine. In addition, WWE 2K18 will be released for Nintendo Switch during fall 2017, marking the first time in five years that a WWE game has been available on a Nintendo platform. WWE 2K18 is being supported with a series of downloadable content, including a Season Pass. Launched NBA 2K18, the current iteration of our top-rated and top-selling NBA video game simulation series, for PlayStation 4, PlayStation 3, Xbox One, Xbox 360, Nintendo Switch and PC. Developed by Visual Concepts, NBA 2K18 received positive reviews from influential critics, including 91/100 from Forbes, 9/10 from Game Informer and 4.5/5 from Digital Trends. To date, NBA 2K18 has sold-in over 6 million units, and both sell-in and sell-through of the title have grown more than 20% over the prior year?s release, including a significant increase in digitally-delivered sales. Released XCOM 2: War of the Chosen, the expansion pack for the 2016 award-winning strategy title from Firaxis Games, for PlayStation 4, Xbox One and PC. Fans and critics have been delighted by the new Chosen enemies and Faction Heroes, with Game Informer awarding the title 9.25 out of 10 calling it, ?One of the most rewarding strategy games in years?. Released Sign of the Times ? the third downloadable add-on content pack for Mafia III, which is available for individual purchase or as part of the title?s Season Pass, for PlayStation 4, Xbox One and PC. Last, but not least, we also get the usual list of upcoming games for the next few months. If you want to compare these results with those of the previous quarter, you can check out our dedicated article from August.